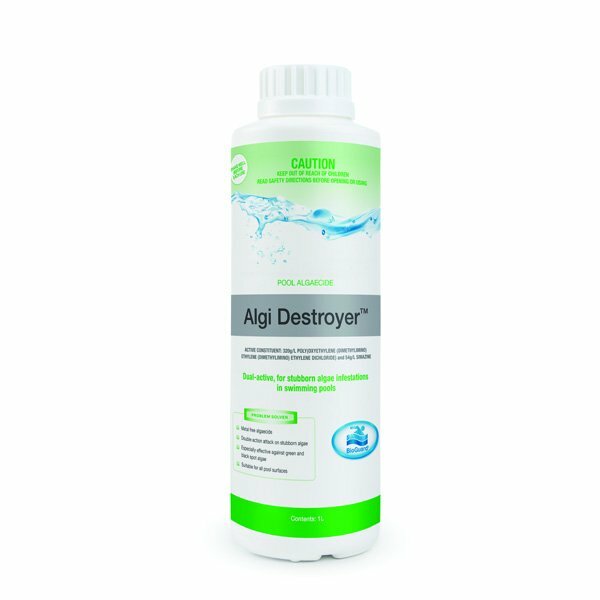 BioGuard Algi Destroyer is an effective destroyer of stubborn algae infestations, especially green and black spot algae. By combining two active ingredients into one formula, a double action attack eradicates algae swiftly and successfully. Being a non-metal algaecide, Algi Destroyer is ideal for use with vinyl-lined pools or fibreglass pools. Double action attack on stubborn algae. Especially effective against green and black spot algae. Suitable for all pool surfaces.